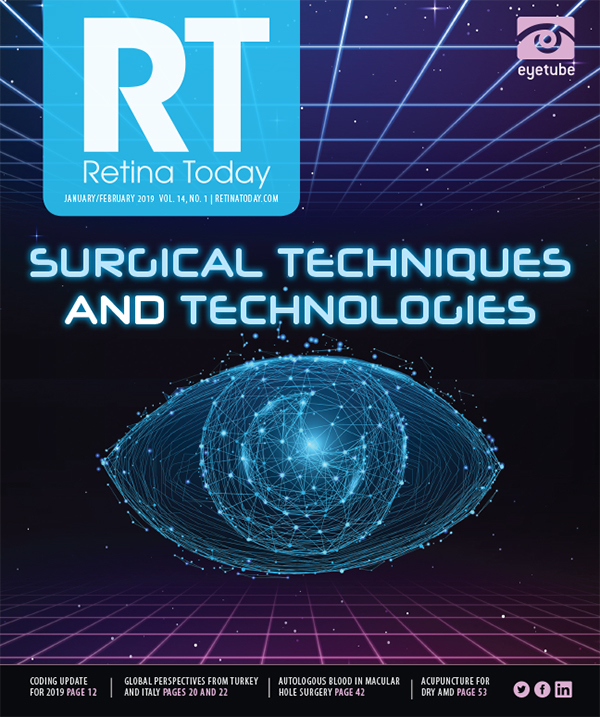 When was your interest in the retina subspecialty first piqued? My interest and ultimate professional life as a retina subspecialist slowly evolved during my medical education. I entered medical school after having been exposed to the medical field by my father, who was a practicing orthopedic surgeon. I went into medical school with an open mind and looked at many specialties. Ultimately, I chose ophthalmology as my path because of the emphasis on helping patients improve their quality of life. By the time I was a resident at Wills Eye Hospital, I had been strongly influenced by Gary C. Brown, MD, MBA. He took an interest in my education and showed me how rewarding a career in retina could be. Dr. Brown’s influence on my career path was instrumental in where I find myself today, Tennessee Retina. 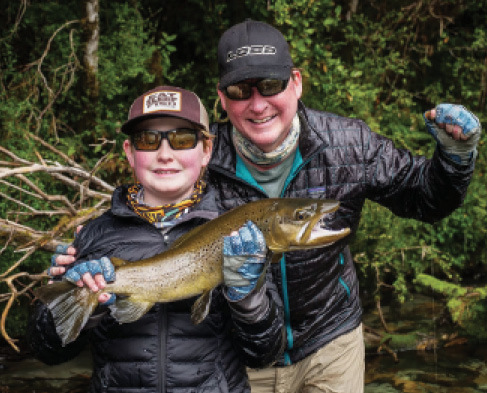 Brandon Busbee, MD, fishing with his son. What aspect of your career do you find most fulfilling? I believe one of the most rewarding things about being a retina specialist is the ongoing relationships we enjoy with our patients. I entered retina before the anti-VEGF era. Once we had a successful treatment that needed to be given frequently, we started to see the same patients on a regular basis. What I love about helping these patients is that many have rich lives. Daily, I learn so many things about life by listening to my patients. If you have an extra minute in clinic, let the octogenarians tell you a story. If you could pass one piece of advice on to young ophthalmologists interested in retina, what would it be? I would advise young ophthalmologists to strike a balance in their lives early in their careers. Unlike the countless hours spent training to be an ophthalmologist, as a practicing physician, you will likely have time to explore other interests. I have found some of my pursuits outside of medicine to be energizing to all aspects of my career. If you have satisfaction outside of work, you will inevitably be a better doctor to your patients. What tactics do you employ to maintain a balance between work and personal life? Traveling with my family has been a highlight of the professional success I enjoy. I try not to merge family travel with work travel. Meetings will help you professionally, but they do not give you enough time to really explore with your family. I have a 13-year-old son with whom I have backcountry-camped in New Zealand, explored the Galapagos Islands, and fished around Cape Horn. Those trips were some of my most cherished days as a parent and adult. My late father told me, “There are always 100 reasons not to do something extraordinary with your family and only one reason to do it.” I have never regretted the time I have taken to travel with my wife and son. If you could have dinner with any fictional character, whom would it be, and why? This is an easy one. I would have loved to have met and explored with Frank and Joe Hardy. I think I may have read every Hardy Boys book as a child. They were personified as normal kids (like me) who had incredible talent for solving mysteries. I envisioned myself as someone who could explore and solve dangerous situations just like them, given the chance. The Hardy Boys were great childhood entertainment before the digital age.